The GAA-sponsored group that plans and promotes Homecoming activities for students has received a national award from the Council for Advancement and Support of Education. The UNC Homecoming Committee was named the Outstanding Emerging Student Organization for 2017 at CASE’s Affiliated Student Advancement Programs Network Convention in Columbus, Ohio, in August. The committee had earlier won the award for CASE ASAP’s District III, which covers the Southeast, and was among six nominees for the national award. This award is given to the CASE ASAP organization that develops membership with strong internal programs and enhances the field of advancement through reputable external programs, effective engagement with university constituents, prosperous philanthropic efforts or notable outreach to prospective students. 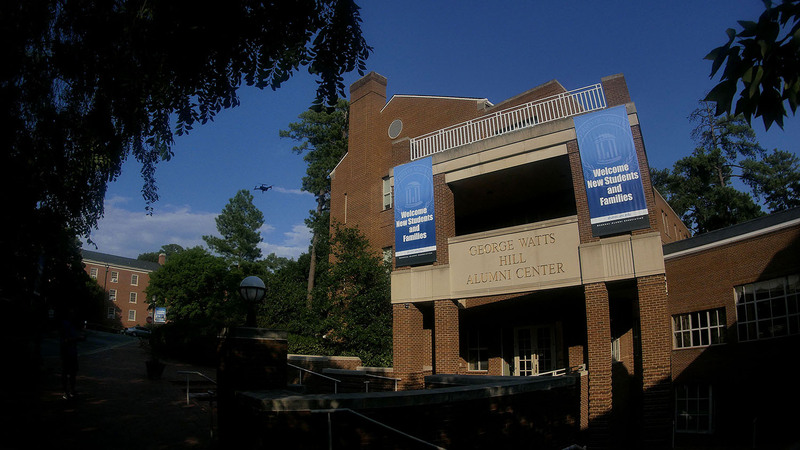 The student-run UNC Homecoming Committee is responsible for planning and promoting the traditional weeklong celebration for students, including daily events in the Pit, Mr. and Miss UNC elections, a banner competition and selling the official Homecoming T-shirt. CASE ASAP comprises more than 300 member institutions with a goal to foster and enhance student involvement in all areas of advancement including alumni engagement. The CASE ASAP awards recognize outstanding student and adviser leadership and achievements as well as outstanding student educational advancement programming by member organizations. The GAA has been recognized with national or district CASE awards for 21 years in a row, earning 113 such awards in all — 57 for Alumni Programs, which includes 28 awards from CASE’s Affiliated Student Advancement Programs, and 56 for Alumni Communications. Headquartered in Washington, D.C., CASE is a worldwide professional organization for advancement professionals at all levels who work in alumni relations, communications, fundraising, marketing and other areas.